“What the hell is going on? !” screamed Cholo. I had just woke up and was a bit surprised about his sudden outburst. “What’s wrong Bubba?” I asked as I walked to the small veranda. “Look!” was all he said. On the grass across the veranda, a satellite dish was being constructed. “Okay, we’re going back to manila now!” Cholo exclaimed while stomping off into the room. We asked the care taker of Bans Resort if there was indeed such a place. having live broadcasts from opposite ends of White Beach. If Cholo could have ripped all of his hair out of frustration, he would be bald by now. 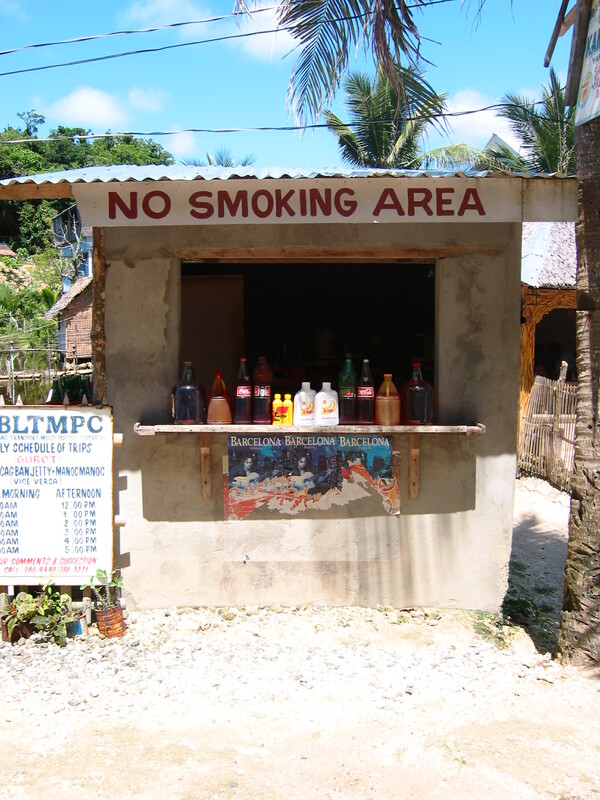 Luckily, the care taker of Bans Resort knew a place for rent by Puka Beach. Without hesitation and the fact that we haven’t seen the rooms and the amenities of the said place, we packed our bags, paid for the first two nights of our stay, hopped on a tricycle and headed for Puka Beach. It was a short tricycle ride to Puka Beach. Around 20 minutes (+/-). It costs us Php 100. We arrived at Tesebel restaurant, as instructed. We were told to look for Tese, the woman in charge of the restaurant. Tese is a plump woman with short hair. The air of authority around her is apparent but not over bearing. She greets us with a warm “Hello!”. Cholo then puts on his charm and goes on to explain the situation we were in earlier and continues on to say that we need a quite place to enjoy our vacation. Tese then proceeds to show us the house which is located right beside the restaurant. 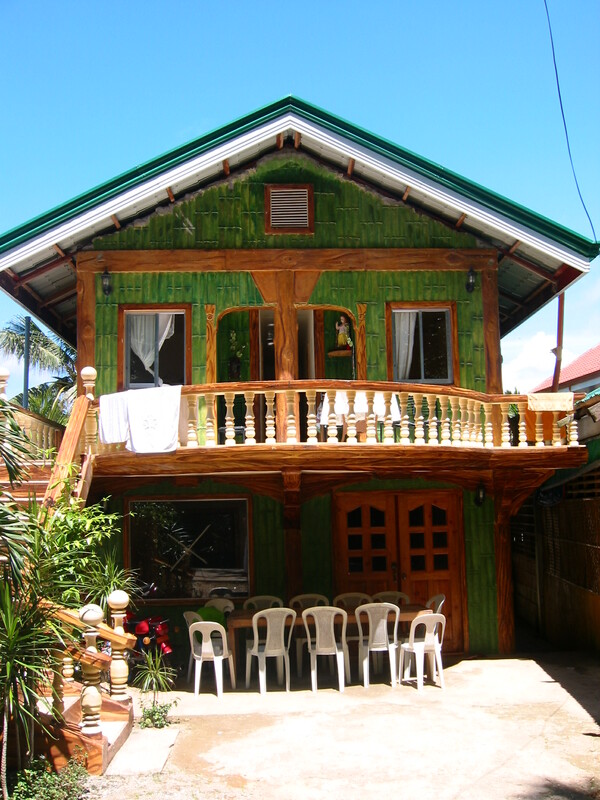 It is a two storey house painted in green with details representing bamboo. A Santo Niño watches over the balcony on the second floor. Tese shows us around the second floor where four rooms for rent are located. She first brought us to the biggest room. There’s a bed, a television set, a lamp, towels and an air conditioning unit. Cholo asks me if I like the room. I told him I liked the room nearest the balcony. It had windows on both available sides, which lets more light and air in. Most of all it’s the fan room. I do not like using the air con at all, I prefer using an electric fan. There are two bathrooms at the end.The house isn’t beach front. It is located on the main road approximately 500 meters away from Puka Beach. The highlight of it all is that we were the only ones renting a room in the house. As we moved into the room , we realized it was quite modest. But that’s a fact we didn’t mind at all. We will be on the beach the entire time. When we opened the windows, we can see the nipa roof of our neighbor’s home while smoke rose through the holes. I glanced at my watch to check what time it was. It was almost noon. They must be cooking lunch, I assumed. I saw Cholo lay down on the bed to take a rest and I followed suit. I can see the sky from my pillow. 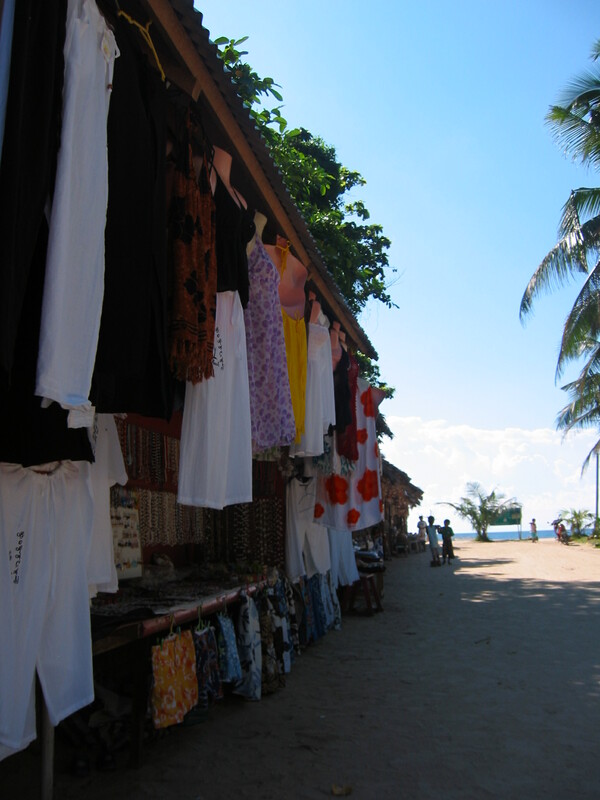 After having a hearty lunch of chicken and rice at Tesebel restaurant, we proceeded to Puka beach. It’s a relatively short walk. You pass by stores selling gasoline for tricycle drivers. With ample warning of course. Puka Beach is just around the corner. 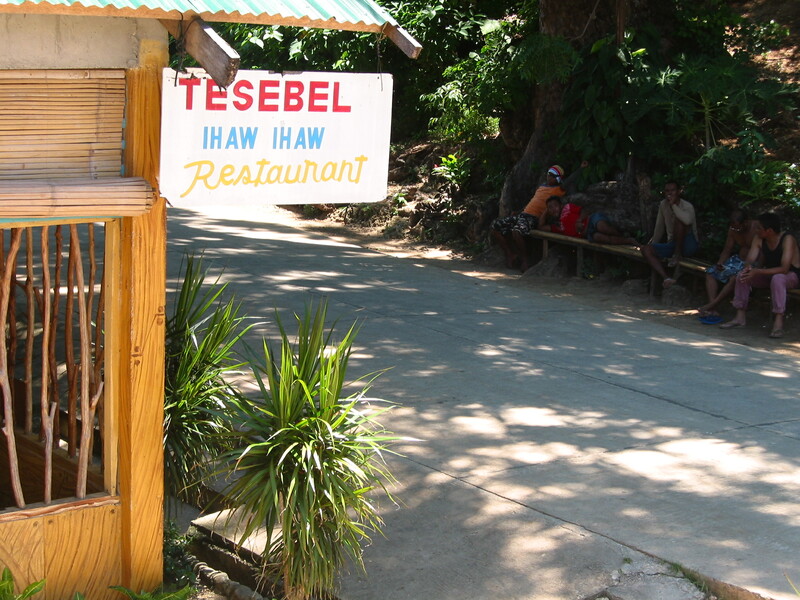 To get to Tesebel from the main port of boracay, ride a tricycle and tell them to bring you to Tesebel Resturant near Puka beach. It will cost you Php150. 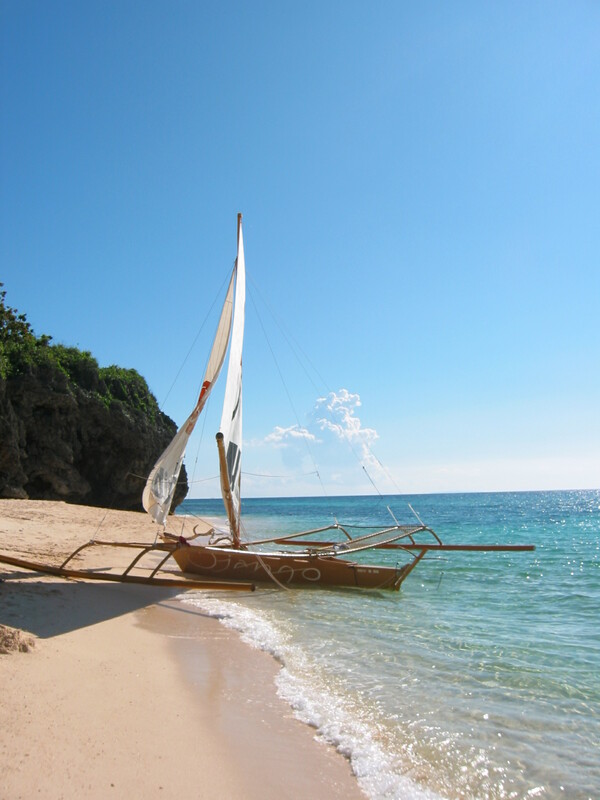 To get to Puka beach from White beach, go to the main road in boracay, hail a tricycle and be on your way. It costs around Php50 per person. To book a room in Tesebel call +63362886705. Rates are from 1500++. Look for Tese.